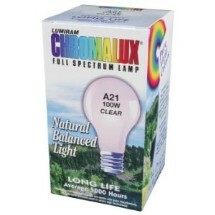 Full spectrum lightbulbs are one of the best ways to detoxify your natural environment! Natural lighting products like Vita Lights, Ott lights, Verilux and BlueMax are worth investing in. For millions of years all life on Earth got it's light from the sun and limited use of fire. There were no artificial light sources like electric bulbs. This is how human beings evolved. Our modern sources of light are both a blessing and a curse. We now have electric lighting that emits a limited range of the electromagnetic spectrum as visible light, and we pay for this modern innovation by jeopardizing our health. Full spectrum lightbulbs are one way that we can reclaim healthy lighting in our environment. White light is made up of many different colors in the visible light spectrum, along with both infrared and ultraviolet light, which we cannot see. Although natural lighting products come close, the only true full spectrum light is the sun. Modern lighting uses a variety of different bulbs most of which radiate only certain frequencies in the light spectrum. This is not a natural form of light, and it is ultimately unhealthy for our eyes and body. Some people who are extremely sensitive to quality of light get something called “seasonal affective disorder,” which is a hypersensitivity to the lack of sunlight. This occurs in the winter and can result in weakened immunity, mood disorders, and even sub clinical depression. Natural light therapy is recommended for these people and often is covered by their medical insurance, as “seasonal affective disorder” a recognized medical problem. Toxic light is light which only contains a limited band of the visible spectrum, and may also contain harmful wavelengths like ultra violet. This form of light can affect your immune system, eyes, ect. Artificial light that is not as close to full spectrum as possible is a form of toxin in our environment. The CFC "energy saver" bulbs which are being pushed on the public as an energy saving/environmentally friendly form of lighting should be considered "toxic light." Remember that light is a form of energy, and that in some ways the body uses light as a “nutrient.” Yes I know this sounds very strange but that's because we are not used to thinking that way. 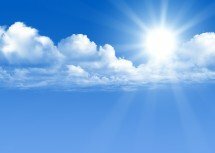 Sunlight is required by the body to biosynthesize vitamin-D and for that reason alone we need to consider the impact of natural (healthy) light on the body! In my personal experience when I stopped using CFC compact fluorescent (energy saver) bulbs and replaced them with full spectrum lightbulbs I felt much better. Of course part of this may be psychological, but the difference was enough to make me swear off the energy saver bulbs permanently. My next purchase will in all likelihood be one of the specialty natural lighting products that most closely approximate sunlight. This is not therapy in the traditional sense, but rather the kind of light we should always be exposed to while indoors. It DOES have a therapeutic value for health and well being, but it is not active therapy. All we need do is to install full spectrum bulbs throughout the home and we will enjoy the benefits of light that is the closet to what we evolved under. The amount of light reaching our eyes regulates the production of a hormone called melatonin that in turn affects other bodily systems like our immune and nervous system. Proper amounts of daylight with its full spectrum light are essential to our well being. Since modern humans spend a lot of time indoors especially in the winter months, it is vital to have light sources in our homes and workplaces that recreate as much of the light spectrum as possible, which will allow us at least some us the benefits of natural light. Natural light therapy is simply providing as much natural full spectrum light as possible in our homes and workplaces. Although there is an expense involved in using full spectrum lightbulbs and natural lighting products, it is well worth it in terms of enhanced health. You can find full spectrum lightbulbs in hardware stores, department stores, and also stores that specialize in lighting. There are a number of websites online that carry these products as well. When I get more information I will do a review on these products, but I would emphasize that they are ALL a big improvement over ordinary lighting. I have at present full spectrum incandescent and florescent bulbs that I purchased at a hardware store. They are a vast improvement over the energy saver bulbs and even ordinary “cool white” bulbs. I notice a big difference even with these readily available full spectrum lightbulbs in terms of far less eyestrain, and a more pleasing form of light. It is hard to explain but this light just “feels” much healthier! Make the change to natural lighting products now in your own environment. Natural light therapy is one of the simplest, cheapest, things you can do to make your living space healthier for your body and mind.